Sometimes I wonder what in the world I was thinking when I buy papers. I have no idea why I felt the need to buy paper with turkeys and quails. I don't have hunting pictures. 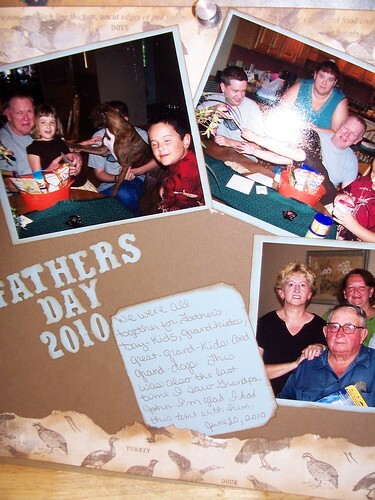 I thought it was fitting for a Father's Day layout with Grandpa though. The scraps found their way into the trash bag. I have held on to this paper for about 5 years. I would never get rid of the scraps!